Our BarkBox for January arrived yesterday! I am always excited to see what our puppy gets in his box. This has been a great box so far! This month's theme was Ice Age! 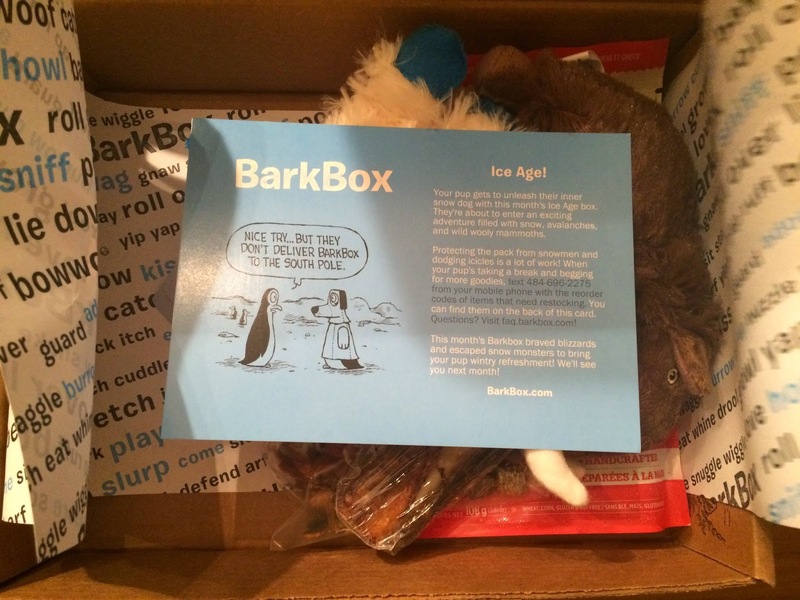 This month's BarkBox braved blizzards and escaped snow monsters to bring your pup wintry refreshment! Here is a first look. I love the tissue paper in BarkBox. 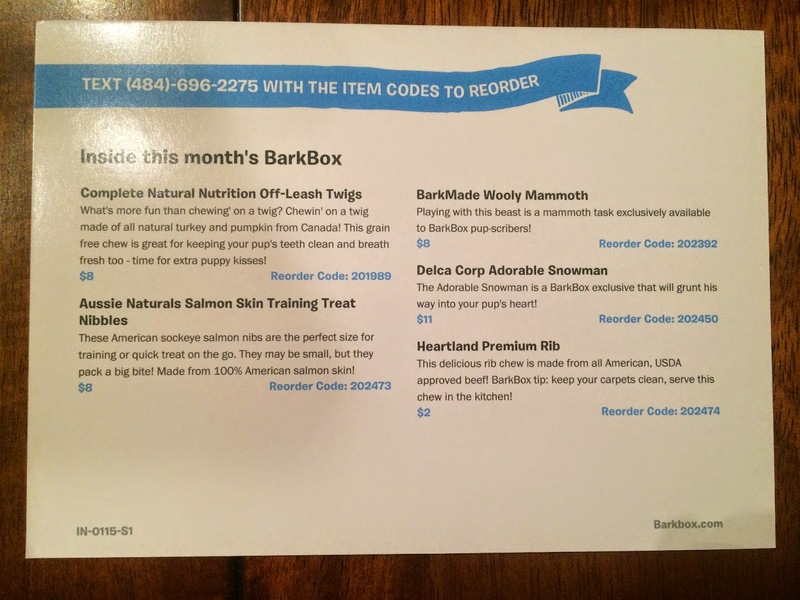 BarkBox always includes an information card that describes everything in the box that month. It also includes the retail price and a code if you want to re order the item. 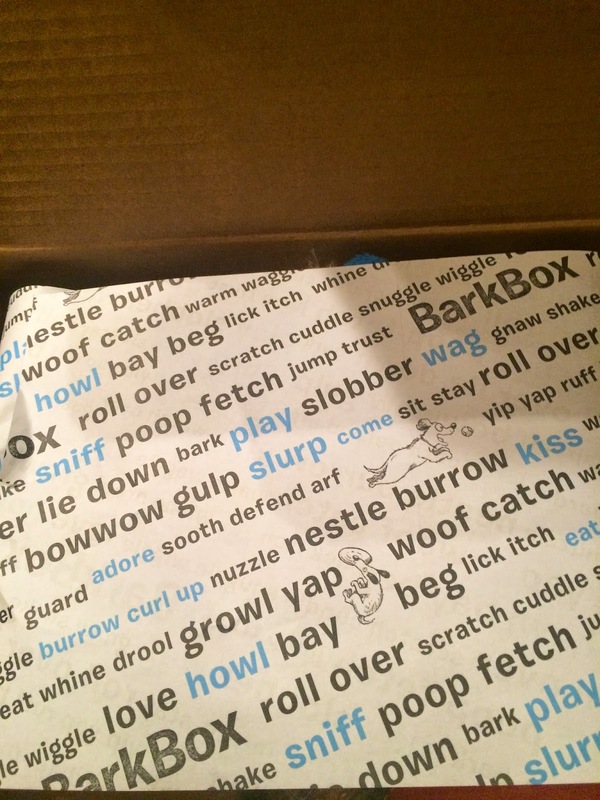 My favorite item in this month's BarkBox was the toy that you can kind of see in the picture above with white and turquoise. It's a BarkMade Adorable Snowman (exclusive to BarkBox). The retail price is $11. I love this! And the squeaker is not a normal squeaking noise, it's a grunt that's totally adorable and much less annoying. 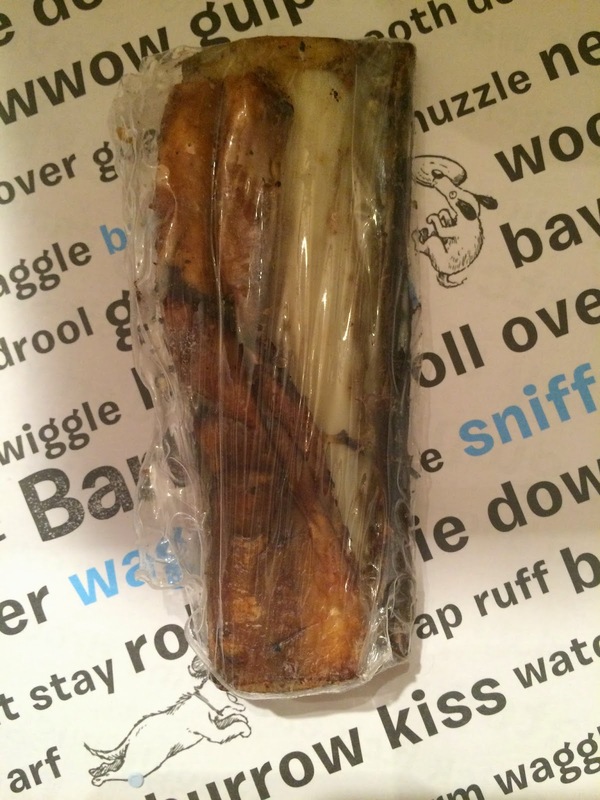 This is totally why I subscribe to BarkBox. I can't resist these adorable toys that I would never find in stores. 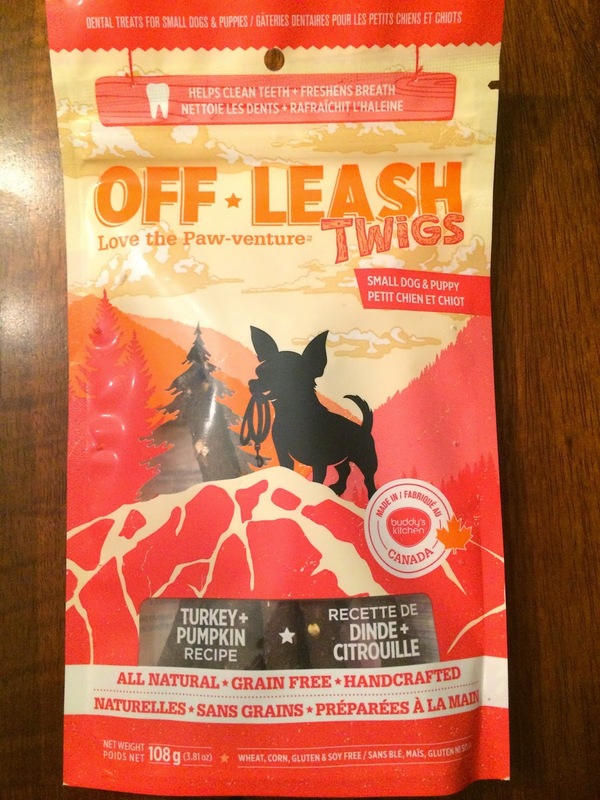 We also received Complete Natural Nutrition Off-Leash Twigs. The retail price is $8. Our puppy loves chewing on real twigs, so I'm hoping he likes these! We haven't tried them yet, but they look very interesting. They're a turkey pumpkin flavor that will keep your pup's teeth clean. 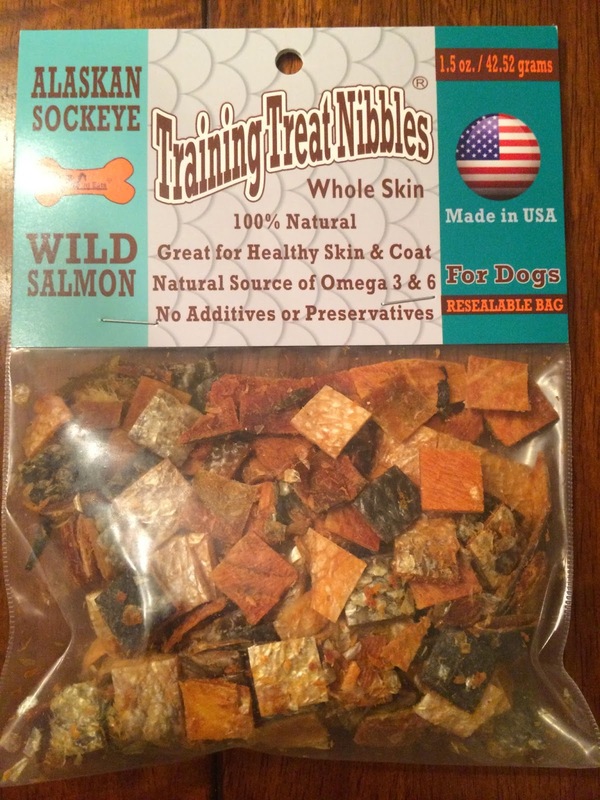 The next item we received was Aussie Naturals Salmon Skin Training Treat Nibbles. The retail price is $8. These are made from 100% American salmon skin. I tried to give a few of these to our puppy and he wasn't sure what to do with them. I can't get him to actually eat one, or even put one in his mouth, so these may end up going to a puppy friend. 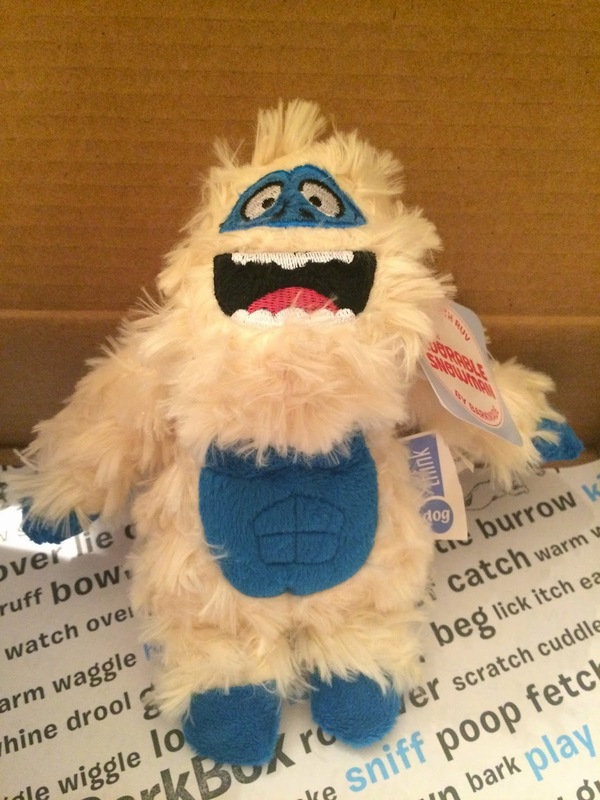 We received another adorable toy. It was a BarkMade Wooly Mammoth. The retail price is $8. 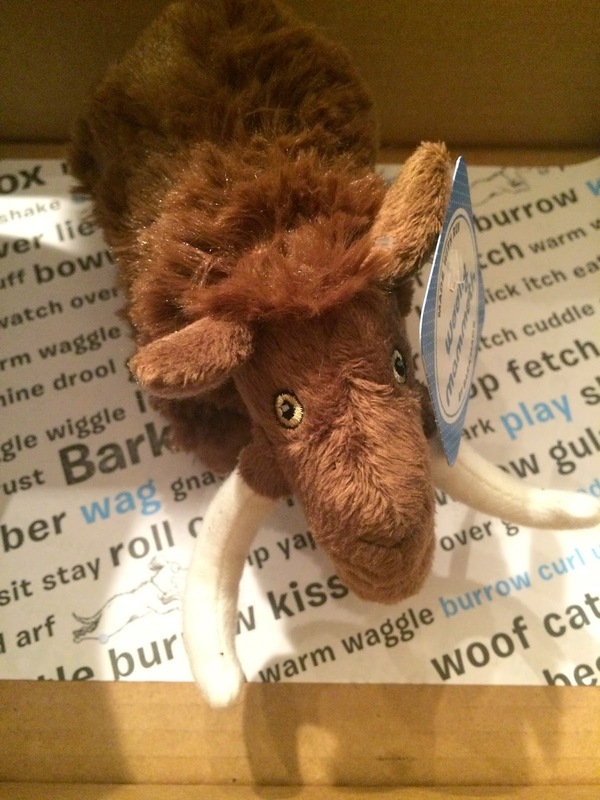 This has a normal squeaker inside, and is really adorable! Our puppy definitely doesn't have a shortage of toys, thanks to BarkBox. The final item included in the box was a Heartland Premium Rib. The retail price is $2. It is made from American USDA approved beef. Our puppy hasn't tried this yet, but I'm sure he'll love this one! We have been loving our BarkBox. The toys are so adorable! I think my 2 year old is more excited than the puppy to open this box every month. She loves giving the puppy his new toys! I wonder if we'll get valentine's themed toys for February !? !